The first question you might have is what exactly is a GABA supplement? For those who don’t have their handy dandy acronym guide, GABA stands for Gamma-Aminobutryic Acid. At least it does when people in health or fitness are talking about it. It is an amino acid, so a GABA supplement is just an amino acid supplement like L-Glutamine or L-Arginine. So does it make sense to use it? Well first let’s talk about exactly what this amino acid does and then we can try and make an informed decision to whether or not you really need a GABA supplement. While GABA is an amino acid, it is not one that is used specifically for muscle growth or repair. Its primary use is in the brain where it acts as a neurotransmitter. There have been various claims that it helps lessen depression and anxiety. Sometimes it is prescribed to help with treating stress and sleep issues. There have not been many well documented studies yet that can point specifically to whether a GABA supplement can actually reach the brain or if it is only the acids produced naturally in the body that get to the brain. Some bodybuilders and athletes have tried using a GABA supplement to gain an edge because, honestly, some people look for anything to get an edge. The theory is that since this acid interacts specifically with the pituitary gland that it could have some affect on growth hormone production. In addition with a reduction of anxiety and help with producing quality sleep they body would achieve a better rest state which would produce a faster recovery. Unfortunately there have not been any studies to prove that GABA has any sort of direct effect on growth hormone increase. That leaves the production of GH up to debate and a matter of theory. 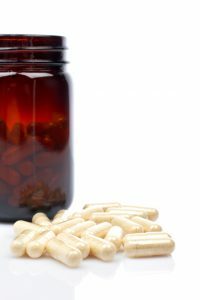 Does it make sense to use a GABA supplement? The answer is yes and no. If you are simply looking for something to boost your growth hormone production then no, you might want to pass on it. There are better methods to obtain that result. However if you have issues with anxiety, depression, or sleep issues then yes you should give it a try. Those are all serious issues that will have a direct correlation on the rest of your life, including your ability to change your body. If you can gain any sort of reduction in depression or get a better night’s sleep then your body would most certainly gain a benefit across the board in terms of health and wellness. For people who are on the fence you can always give it a try and see for yourself. The FDA has approved it and the dose is small in the amount of 1 or 2 grams per day. In the very least it might help you get a better night’s sleep which most of us could benefit from.